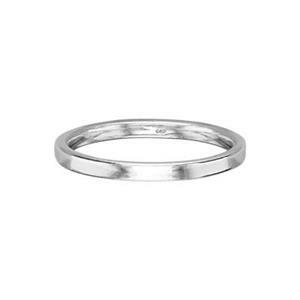 A cast seamless 2mm silver ring band. This jewelry finding is the perfect foundation for stacking ring designs. It is too narrow for most hand stamping but it is perfect for soldering small embellishments or stone settings. Take your jewelers saw and quickly cut this band into a shank if you wish. Size 7 is the most popular women's ring size so this is a great starter piece if you are adding rings to your collection.